Novajack products and accessories are designed for use by one person working solo  meeting the specific needs of private woodlot owners. Rugged and easy to use, they make your work safer and more efficient. From logging trailers to arches to gas winches and skidding cones, Novajacks innovations cover the gamut of tools and accessories now indispensable to logging work. Welcome to NovaJack. 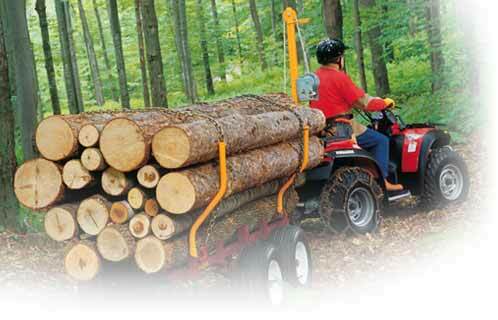 We set the standard in logging equipment for private woodlot owners.